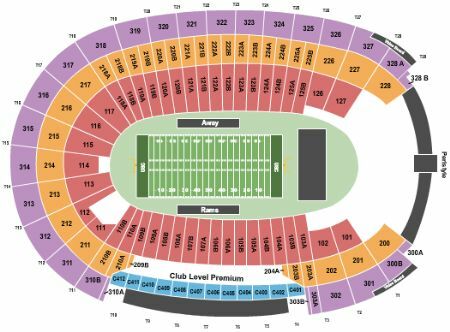 Los Angeles Rams vs. Arizona Cardinals Tickets - 12/29/2019 - Los Angeles Memorial Coliseum in Los Angeles at Stub.com! Mobile Entry Tickets. Must have smart device on hand to enter event. Do not print these tickets. Tickets will be ready for delivery by Dec 27, 2019. Mobile Entry Tickets. Must have smart device on hand to enter event. Do not print these tickets. Tickets will be ready for delivery by Dec 26, 2019. Mobile Entry Tickets. Must have smart device on hand to enter event. Tickets will be ready for delivery by Dec 27, 2019. Mobile Entry Tickets. Must have smart device on hand to enter event. Tickets will be ready for delivery by Dec 25, 2019. Does not include admission to event. Tickets will be ready for delivery by Dec 25, 2019. Mobile Entry Tickets. Must have smart device on hand to enter event. Do not print these tickets. Tickets will be ready for delivery by Dec 28, 2019. XFER Mobile Entry. Scan your tickets from your mobile phone for this event. Tickets will be ready for delivery by Dec 25, 2019. Mobile Entry Tickets. Must have smart device on hand to enter event. Do not print these tickets. Tickets will be ready for delivery by Dec 29, 2019. Mobile Entry Tickets. Must have smart device on hand to enter event. Do not print these tickets. Tickets will be ready for delivery by Dec 25, 2019. Mobile Entry Tickets. Must have smart device on hand to enter event. Do not print these tickets. Limited view seating. Tickets will be ready for delivery by Dec 27, 2019. MobileQR Entry. Scan your tickets from your mobile phone for this event. Do not print these tickets. Tickets will be ready for delivery by Dec 28, 2019. Second row in this section. These seats are located where the home team enters the field. Xfer Mobile Entry. Scan your tickets from your mobile phone for this event. Do not print these tickets Tickets will be ready for delivery by Dec 24, 2019. First row in this section. These seats are located where the home team enters the field. Xfer Mobile Entry. Scan your tickets from your mobile phone for this event. Do not print these tickets Tickets will be ready for delivery by Dec 24, 2019. Mobile Entry Tickets. Must have smart device on hand to enter event. Do not print these tickets. Tickets will be ready for delivery by Dec 24, 2019. XFER Mobile Entry. Scan your tickets from your mobile phone for this event. Do not print these tickets. Tickets will be ready for delivery by Dec 27, 2019. First row in this section. Tickets will be ready for delivery by Dec 24, 2019. These seats are on the aisle with purchase of the entire group. Tickets will be ready for delivery by Dec 27, 2019. XFER Mobile Entry. Scan your tickets from your mobile phone for this event. Tickets will be ready for delivery by Dec 27, 2019. Aisle seats if entire quantity is purchased. Tickets will be ready for delivery by Dec 25, 2019. Aisle Seats. Tickets will be ready for delivery by Dec 25, 2019.